Our last couple stamping events have had some frustrating Big Shot moments with getting some of the dies to cut correctly. As I was a bit behind in keeping up with everything Stampin' Up!, I decided it was time to research these issues further and found some answers. I came up with this table to assist you. Used the retired Petal Bigz Die for the holder and some retired Handsome Hunter cardstock. Used the Scentsational Season Stamp set with coordinating Holiday Collection Framelits for the Gingerbread man. Also used the Decorative Label Punch & Teeny Tiny Wishes. Quick & cute with 2 Andes Mints inside. Here is the July Scrapbook Club layout we did Monday night. I did not put cardstock down on this layout to add your photos to but thought the right page would look wonderful with about 3 different pictures overlaid in a group together. Stampin' Up! Product used: Floral District Designer Series Paper, Summer Smooches Designer Series Paper, 1/8" Daffodil Delight Taffeta Ribbon, Brights Designer Buttons, Vintage Faceted Designer Buttons, Elegant Butterfly Punch, Delicate Designs Textured Impressions Embossing Folder, Labels Collection Framelits, Apothecary Accents Framelits, Summer Afternoon Hostess Stamp Set, Paper Daisies, Modern Label Punch, Basic Rhinestones, Loving Thoughts Stamp Set, Watercolor Wonder Crayons, Blender Pen, dimensionals, sponges, retired Naturally Serif Sizzlet Decorative Strip Die, Big Shot. Michele Schmidt, Waterloo, IA is hoping you have a lazy summer day to fill these pages with pictures. At the Hostess Appreciation Linda gave me this beautiful 3D pin she made. She actually used the Sizzix Big Shot along with the Flower, Daisies#2 & cut the pretty pink fabric with it. She also used one of our Antique Brads to put it together. Don't you just love it. Here is the Treat Box Shawna had for her Workshop. I advised everyone they could give it to someone with the card they made or just keep it for themselves. This Treat box uses the Stampin' Up! 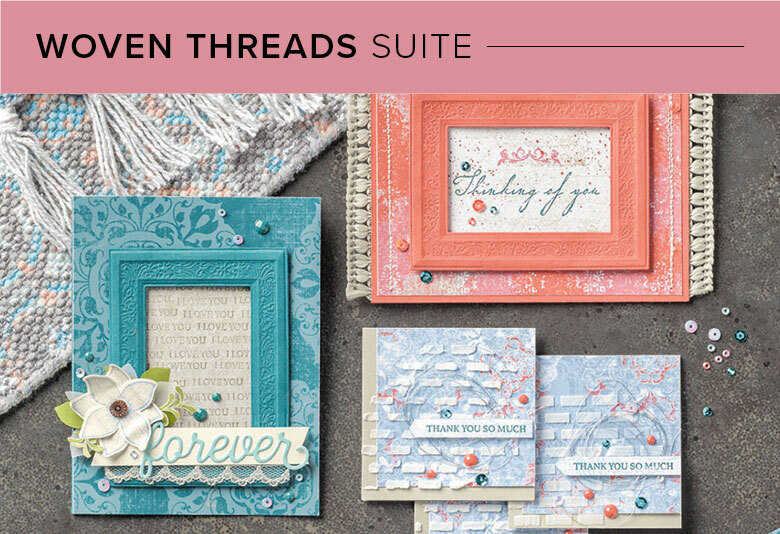 Build a Blossom stamp set along with the coordinating Blossom Petals Punch from the current Occasions Mini Catalog. The Big Shot was used with the Perfect Polka Dots textured impressions embossing folder, a couple circle punches & dimensionals. Check below to see what was inside. Each little nugget was wrapped in a small piece of designer paper. I used the Greenhouse Gala Designer Paper here. Down in the basement in my stamping area I have just cheap white plastic curtains to hide the laundry area & a back room. I started this spring by using velcro to attach Butterflys to the curtain for my Hostess Appreciation Event. This fall for Thanksgiving I changed them to Leaves & for Christmas I changed them to Snowflakes. Maybe I will have to do flowers this spring & save the butterflys just for summer. All these items were made using the Big Shot & the Beautiful Butterflies bigz die, Snowflake #2 original die & Leaves #2 original die. I just can't imagine myself without the Big Shot any more. I use it all the time. The blue Christmas Tree ornament in the bottom left hand corner of the picture might look familar as is was part of my Christmas Tag Class. Isn't it nice when one idea works for other projects also. I seem to do this often and it is such a timesaver. Who doesn't need this. These are actually ornaments I made for some of my co-workers to give to their families at Christmas. I made some different designs to show them & they picked their favorites. I then used the computer with our Whisper White cardstock to type the names & then punch them with the Modern Label Punch. I used some retired silver cording and some DMC Embroidery Floss that matched our colors to hang them. The actual snowflakes were made with chipboard/mat board & the Big Shot with the Snowflake #2 Original Die. I then used a sponge dauber with our Platinum Shimmer Paint found on page 195 of our current catalog. I used the Extra Large 2 1/2" circle punch for the outside circle & put them through the Big Shot with various textured impressions embossing folders found on page 214 of our current catalog. These were attached to the snowflake using Mini Glue Dots. I cut out the top circle with one of the circles from the Circles #2 Originals Die & the Big Shot. I stamped on these & glued them to the embossed circle using Crystal Effects so I wouldn't have to push to hard on the embossed piece to attach them. I popped up the name tag on each ornament using Dimensionals but only put one on the left side & one in the middle where they would actually attach to the cardstock. One of the next couple nights Michele Schmidt, Waterloo, IA will be making my famous Strawberry Daiquiri Slush which used to be a yearly event but didn't get made last year. I promised my niece Melissa I would get it made as she turned 21 & can have a little alcohol in it this year. I always make it without so anyone can have some but have the rum nearby so those that want can add some. Don't worry she is very responsible & going to college to be a doctor. This is a quick Big Shot card idea that could be used for an Anniversary, Valentine or Just Because card. You could change the words, the punch or even the colors of cardstock used & it could be a Birthday, Get Well or Thinking of You card. Keep this in mind when you see a card you really like. This is a card I saw online from another demonstrator that used Baha Breeze & Very Vanilla cardstock for both punches but they were layered over each other. They also had different words for a Wedding card. Products used: Sizzix Big Shot, Elegant Lines textured impressions embossing folder, Scalloped Heart of Hearts Embosslit Die, Basic Pearls, Dimensionals, Victoria 5/8" Crochet Trim. Michele Schmidt & Mom are visiting with some of our relatives in Northwestern Iowa- Remsen & LeMars. Remember to check out the specials that end Tuesday, November 30th. I will be back that night to get any orders in that I receive. My manager at my day job challenged me a couple weeks ago to come up with a refrigerator magnet she could put up with all 4 pictures of her nieces family. I saw the picture of the baby & I had 1 idea immediately after seeing the flower in her hair. I took some retired Designer Series paper & glued to some mat board. I then put some 5/8" Pink Satin ribbon around it using a retired Large Grommet. I also used the Big Shot & the Flower, Daisies #2 Bigz Die along with a Chocolate Chip Corduroy brad. You can see better in the picture below how I tried to make the flower match the babies headband flower. They are an adorable family & I appreciate them letting me share this project with everyone.